Summer might just about be appearing here in the UK, but for farmers and agricultural workers up and down the country, the hard work is just about to start. While many of us are enjoying the sunshine and warmer weather, our farmers are working tirelessly to ensure that their crops are prepared for harvest, and food storage tanks are ready to be stocked. They say that farming is the heart and soul of our country, and we certainly agree that we would be facing a very expensive alternative food source if our farmers were to call it a day. Each new season brings new tasks and responsibilities for the UK farmer; livestock needs to be fed and cared for on a daily basis, fields need to be prepared and maintained, and seeds need to be sown, cared for and harvested when the time is right. Harvesting in itself is a mammoth task that involves ensuring food and produce are stored correctly to ensure minimal wastage. If that wasn’t enough, machinery and equipment need to be looked after and maintained to ensure that jobs get done on time. Working to schedule is incredibly important to the farming industry, and, as such, ensuring you are using the best equipment and food storage tanks available is imperative for sales negotiations on a business level, along with food stock levels across the country, and, indeed, the world. Preparing for harvest can take months and months of hard work and labour – much of which isn’t even considered by those outside of the industry. For example, crops need to be gathered from fields, collected and bundled, ready for transportation. As well as crops, many farmers harvest hay and straw which can be used to bulk up livestock feed to reduce wastage from barley, oats, rice, wheat and rye. Much of the crop by-products that get used as hay and straw are kept on farms in food storage tanks and baled in barns to assist in the feeding and management of livestock. 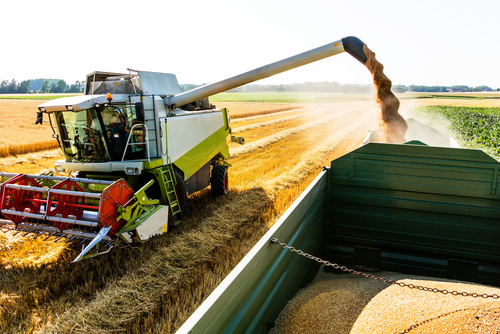 As the weather in the UK is likely to change on a daily, if not hourly basis, farmers need to be prepared ahead of time in order to make the most of the harvest opportunities afforded to them. Should there be a year that is warmer and drier than usual, then farmers might rely on collected rainwater and water reservoirs to tend to their crops, and ensure that they aren’t spoiled as a result of the climate. For more information about the type of tanks you would expect to see on a farm, please browse our website.